Rising nationalism, international tensions, runaway climate change. It’s tempting to despair of humanity at the start of 2017. Instead of giving up, though, the people below are working to improve the world around them, whether through entrepreneurship, art, innovation or acts of personal courage. They’re just a small sample of some of the 3,000 participants who will converge on Davos for the World Economic Forum’s Annual Meeting this year, under the theme of Responsive and Responsible Leadership. Collectively, they might make you feel a little less bleak about the future. At just 19, Negin is Afghanistan’s first female orchestra conductor, breaking taboos in a country where until recently the Taliban banned music and denied girls the right to an education. She braves death threats to make music and inspire other young people, leading the Zohra Orchestra, a musical ensemble of 35 women in Afghanistan. She will be performing at Davos and discussing the role of artists on the frontline. “Yes, I’m the girl who swam for her life, then swam at the Olympics. Now I want to tell you another story. It’s about my other name, my other identity. You see, my name is refugee. At least, that’s what they call me. 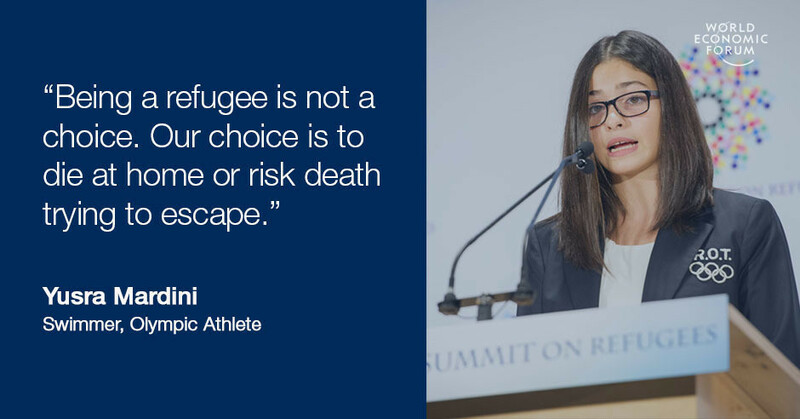 Me and those 21 million others forced to flee persecution, war and violence.” Now living in Berlin and speaking up for the world’s displaced, Yusra tells her story here. This man wants you to recycle everything. I mean everything: cigarette butts, diapers, toothbrushes. He’s the founder and CEO of Terracycle, a social enterprise that uses new technology to "up-cycle" waste into products, turning foil drink pouches into slouch bags, among other feats. His work has galvanized nearly 64 million people around the world into recycling action and offers an alternative business model at a time when research suggests there will be more plastic than fish in the sea by 2050. It’s fair to say Hamdi didn’t have the upbringing you’d associate with the typical high-flying CEO of an American company: he grew up in a semi-nomadic dairy-farming family, in Turkey. 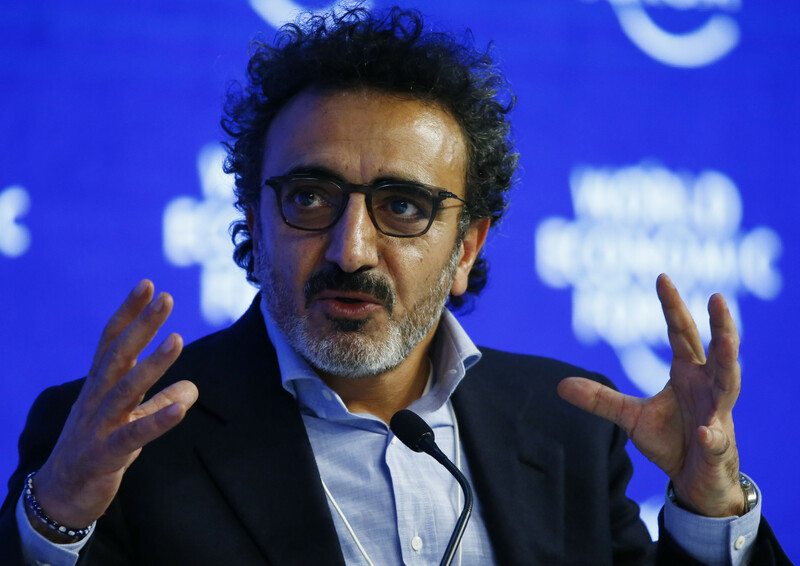 After moving to the US and studying English, he launched a business that ultimately turned into the successful yoghurt group, Chobani. He’s become a billionaire, without turning his back on society. His company gives staff a 10% share in the business, employs refugees and offers six weeks of paid parental leave for mothers and fathers, a notable stance in a country with no statutory maternity pay. Globally, 1.2 billion people do not have access to electricity. Jaideep is helping people in remote mountain villages to switch on the lights for the first time, trekking for weeks to bring off-grid power to places at vertiginous altitudes above 3,650m through the Global Himalayan Expedition project. Integrating migrants and refugees is not just a challenge for western countries. In Morocco, Yasmina launched the Foundation Orient Occident to provide job training to sub-Saharan migrants, refugees and under-privileged Moroccans. The formula works: 95% of graduates from IT courses and 60% of hospitality graduates find regular employment. Before the war in Syria, Raed was a businessman who sold electrical equipment. 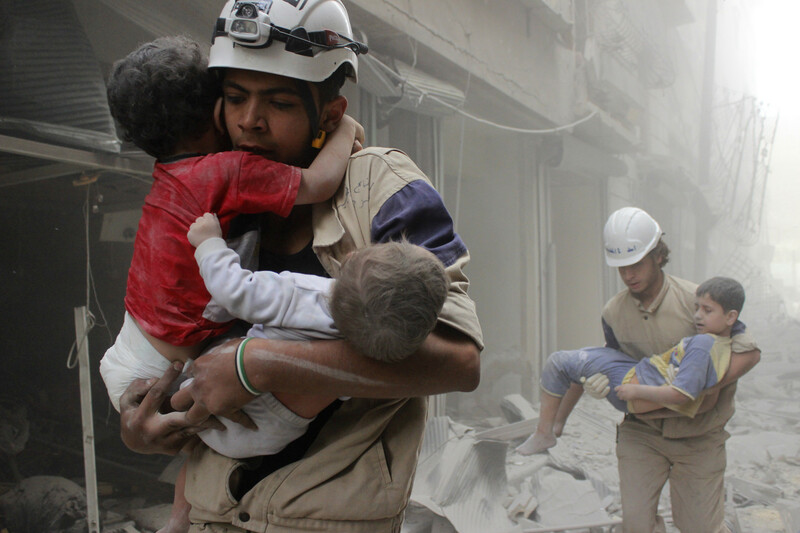 After the bombs began to fall, he founded the White Helmets, or Syria Civil Defence, an organization of local volunteers who risk their own lives to pull injured people out of the rubble. So far they have saved nearly 80,000 lives. Africa’s young population is growing faster than in any other region: about 70% of the continent is under 30. Harnessing their talents will be crucial to the continent's - and the world’s - future. 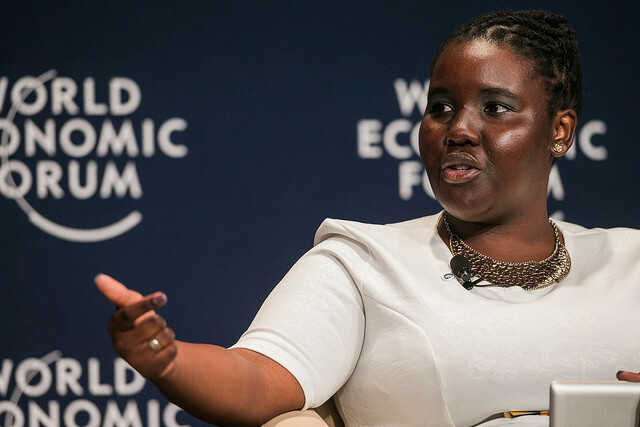 At the age of just 12, Zamantungwa founded her first NGO with her local library, aimed at giving teenagers a role in the community. She went on to co-found the Thabo Mbeki Foundation Youth Hub, to “put young Africans at the forefront of Africa's renewal”. She is also a radio producer and winner of our Global Shapers essay contest. What if we could generate electricity from the roots of living plants? It turns out, we already can. Marjolein is the founder and CEO of the Dutch start-up Plant-e, a World Economic Forum Technology Pioneer company. 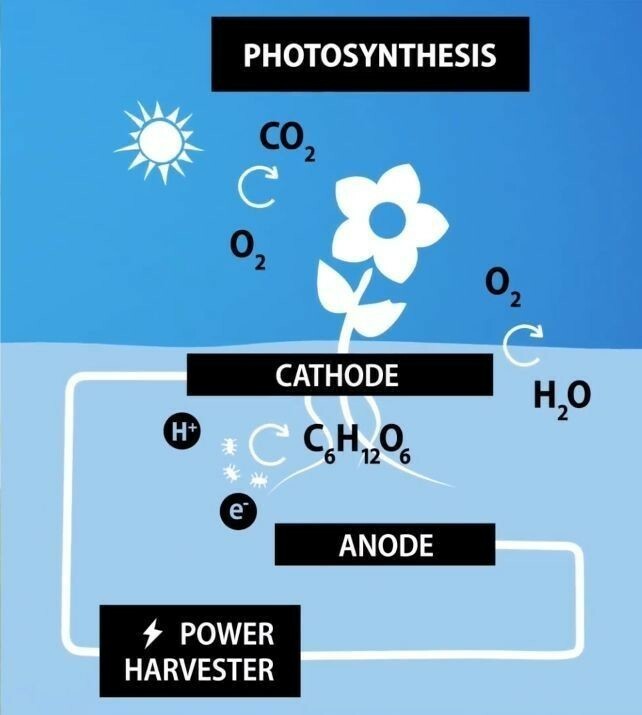 Its patented technology harvests electrons from growing plants to produce power. In her words, “our energy revolution has already started”, with a “full range of alternative, renewable and sustainable technologies slowly replacing fossil fuels”. Alfa’s mother fled conflict in Ethiopia, leaving her two-year-old daughter to be raised by her grandmother. When they were finally reunited in the United States, Alfa discovered that the American dream was gruelling in reality: her mother waitressed in the day, then worked as a micro-entrepeneur making clothes at home. After finishing her studies at Harvard, Alfa founded Rising Tide Capital, a non-profit organization that gives overlooked entrepreneurs the resources they need to grow successful businesses. Their entrepreneurs see an average 64% increase in sales after two years.